You have two options in life. 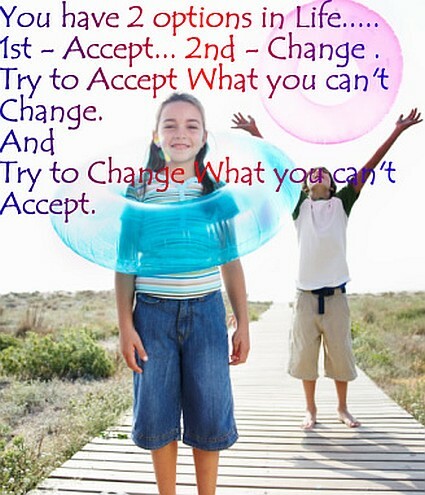 First- accept, second- change. Try to accept what you can’t change. And try to change what you can’t accept.